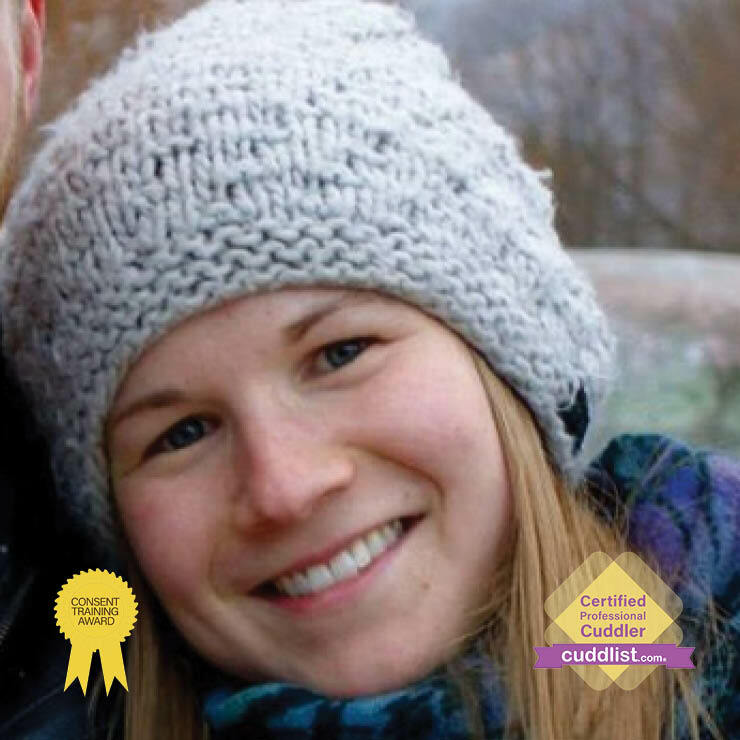 Want to cuddle with Heather? 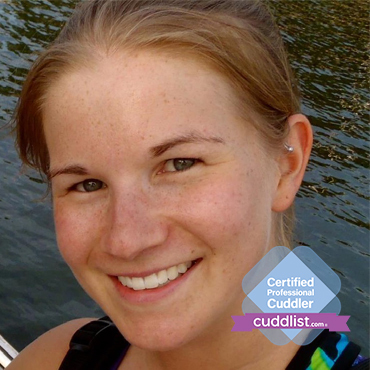 I began professional cuddling in December 2015, but I have been a cuddle enthusiast for as long as I can remember. I believe consensual, non-sexual touch is profoundly powerful and essential to a happy life. Oxytocin (the hormone produced when humans touch) can decrease stress, boost the immune system, crystallize memories, and fight insomnia. 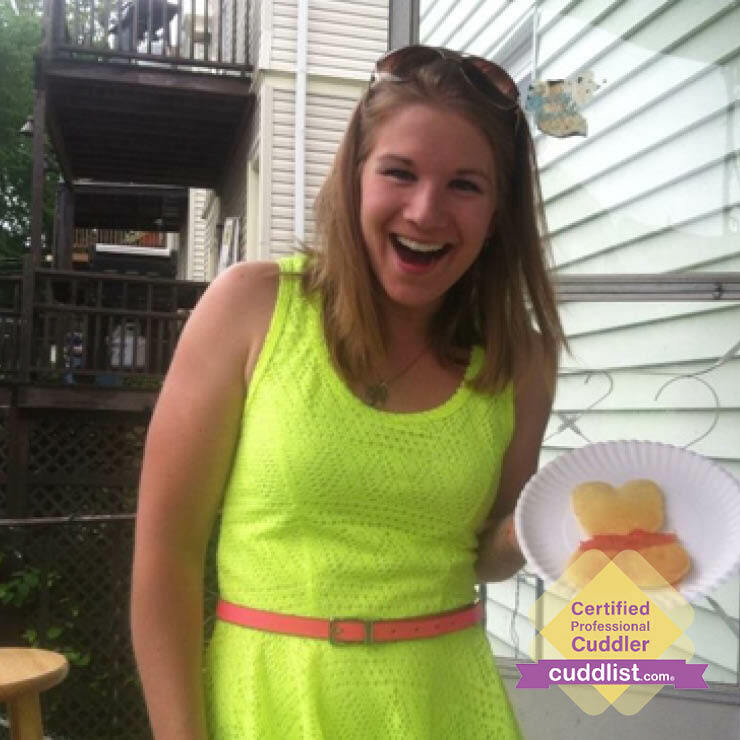 Touch deprivation is detrimental to our well-being, and I want to help end it — one cuddle at a time! “A session with Heather is like a temporary vacation – I’m able to fully relax, feel euphoric, and even laugh a bit. She’s extremely professional and a perfect cuddler. Heather will gladly accommodate your situation so whether you want complete peace & quiet, intellectually stimulating conversations, or a combination of relaxation techniques, you can’t go wrong with Heather. I’ll arrive to a session feeling stressed from work and leave feeling like a million bucks. I cannot overemphasize how amazing she is!” -WD, February 2017. 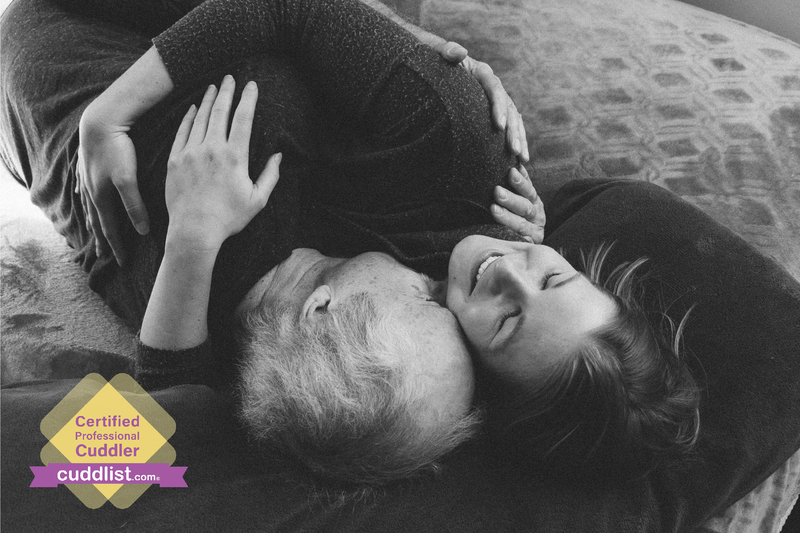 “Your presence makes me feel like I have been transported to another place where gentleness, kindness, giggles and love are in charge… During yesterday’s cuddle, I saw the light of heaven in your eyes and I kept feeling the touch of an Angel.” –John (client from the above video), January 2016. Prior to a session, I provide prospective clients with a copy of my guidelines (to outline my process, what I offer, and what I don’t offer) and a brief questionnaire (to help me understand your wants and needs). Then we will coordinate a quick phone call to discuss any questions/concerns, feel out our cuddling chemistry, and – if both parties consent – schedule a session! Most of my clients prefer in-call sessions, which I host at my home in First Hill, Seattle. Hosting allows me to mindfully prepare our healing space to ensure our session unfolds with relaxation and comfort. I offer out-call sessions (at a location of your choosing) for an additional travel fee. My cuddle sessions may be scheduled morning, afternoon or evening for 1 to 3 hours. During our cuddle, you will receive my undivided attention with unconditional support and acceptance. Sessions are completely customizable and based on mutual consent. You are invited to share anything with me in a completely judgement-free, confidential environment. 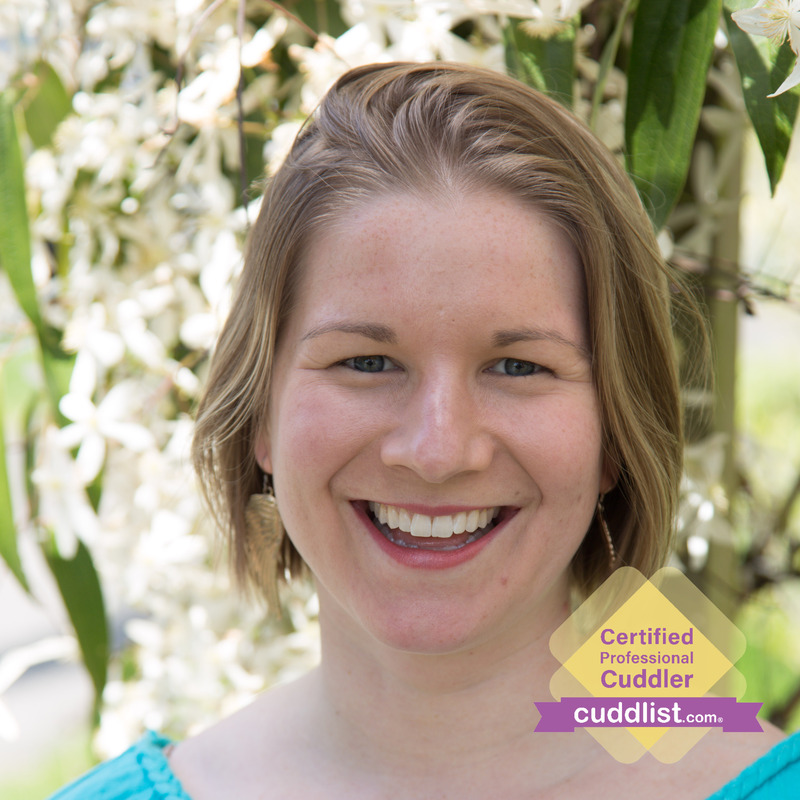 To be heard, hugged and held, come cuddle with me!